No one wears jewelry like Rihanna. Don’t get me wrong, lots of women have sensational jewelry style. Rihanna is just different. She is fearless about what she wears and how she wears it. 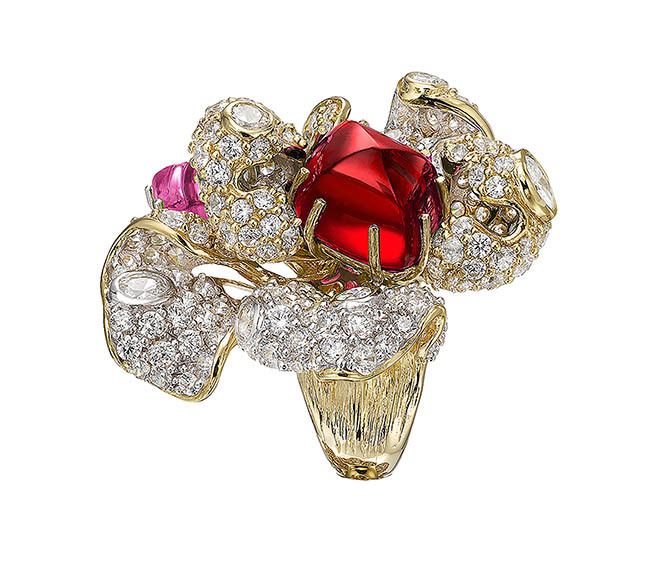 Of course, she wears cool jewels and she has collaborated on making major treasures that reflect her funkier side. 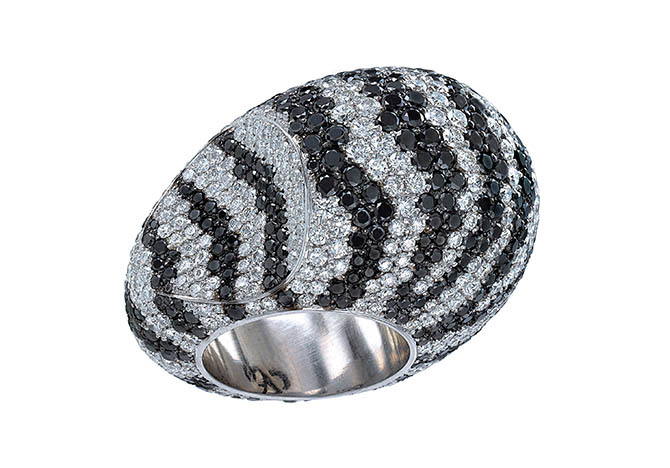 But she also puts on jewelry from designers that are known almost exclusively to connoisseurs and collectors. The unique way she mixes it up makes the array look like, well, she owns it. 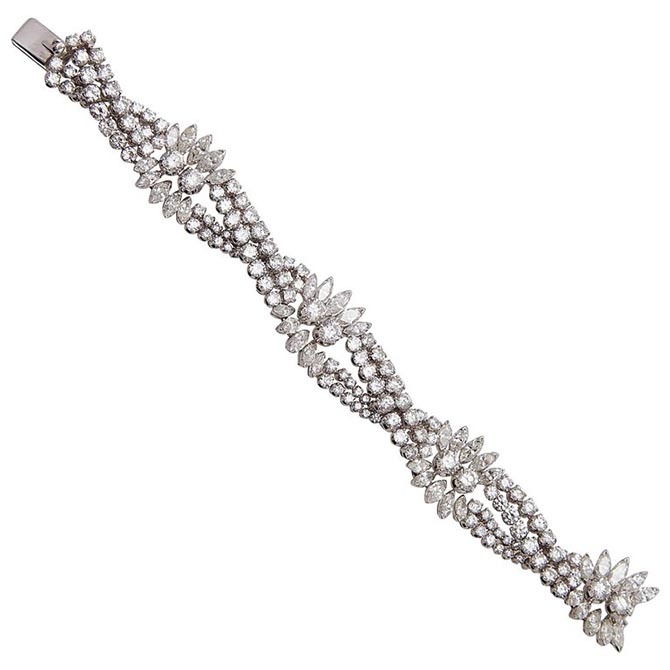 There is always a luxurious naturalness to her jewelry style. 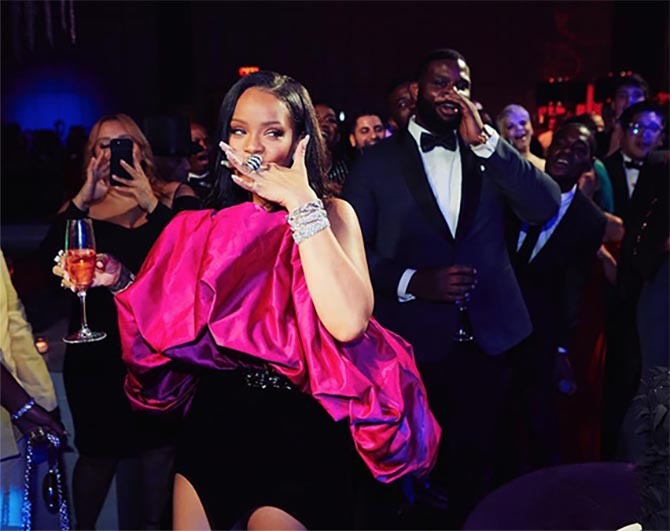 For her 30th birthday party, a black-tie occasion at The Grill in Manhattan, Rihanna celebrated with her friends at a private party wearing over $1-million in diamond jewelry. 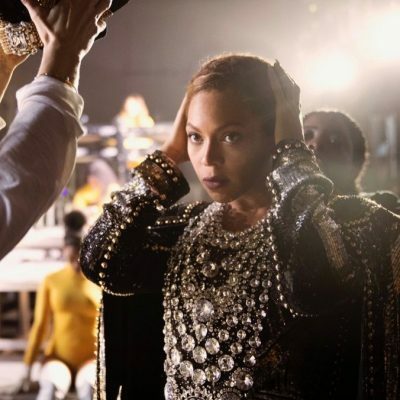 Working with her brilliant stylist Jahleel Weaver, who tirelessly searches to find rarefied names, she mixed vintage with modern and couture with demi-fine. 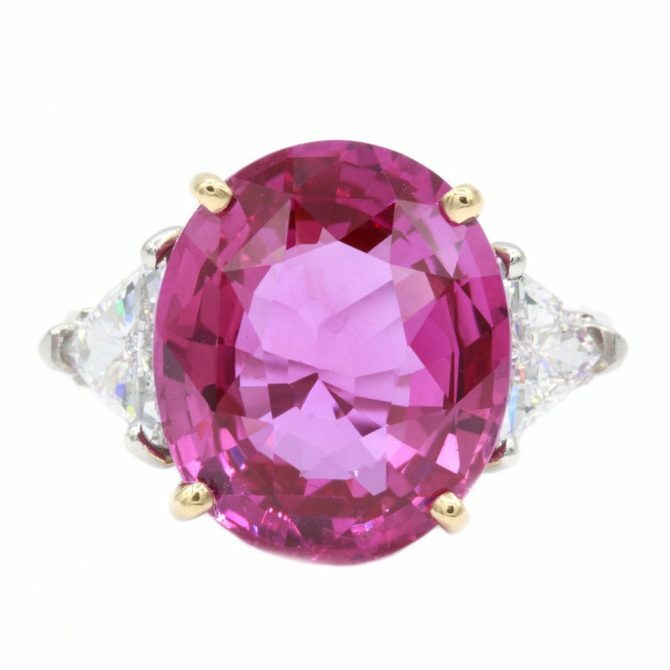 The gems, that added up in value to well over $1-million, were paired with a striking fuchsia and black Saint Laurent bubble Spring 2018 dress. Get a closer look at each of the treasures below. I tracked down photos, carat weights and prices of just about everything. 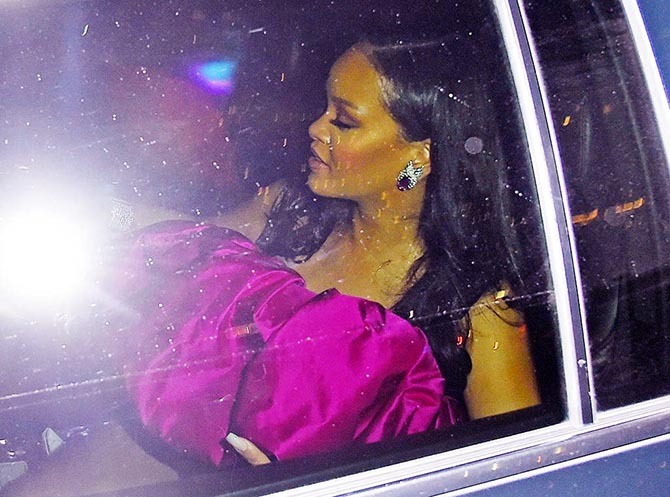 The photos snapped by the paps of Rihanna arriving at her birthday party revealed the incredible Verdura earrings she was wearing. 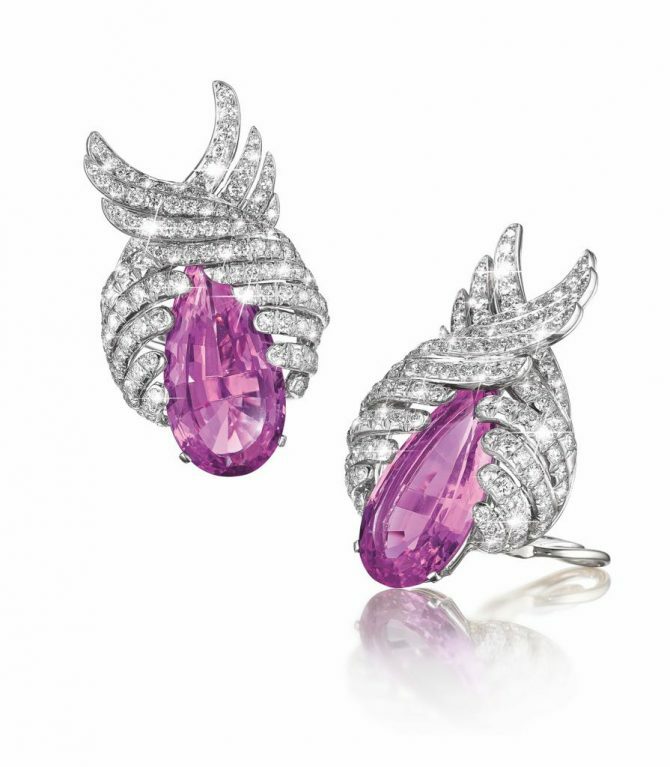 The precious pink topaz in the vintage Verdura diamond and platinum earclips shining from Rihanna’s lobes coordinated with the fuchsia in her dress. 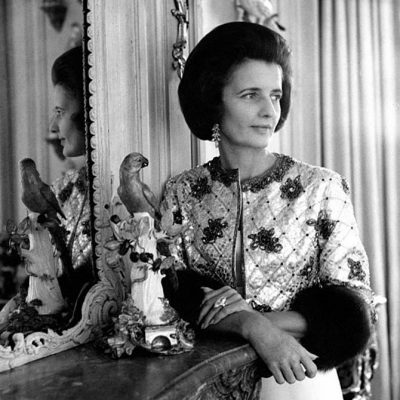 The ginormous jewels were originally made as a pair of brooches in 1951. A few years ago they were converted into earclips. Price available upon request. 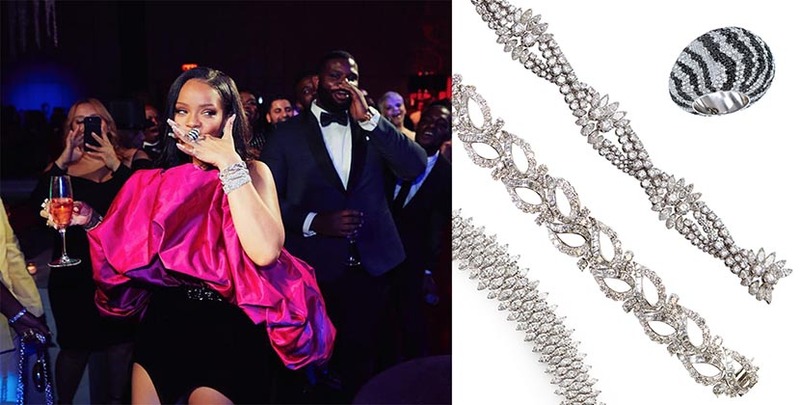 The four jewels on Rihanna’s left hand could be seen inside the party when she made a toast. 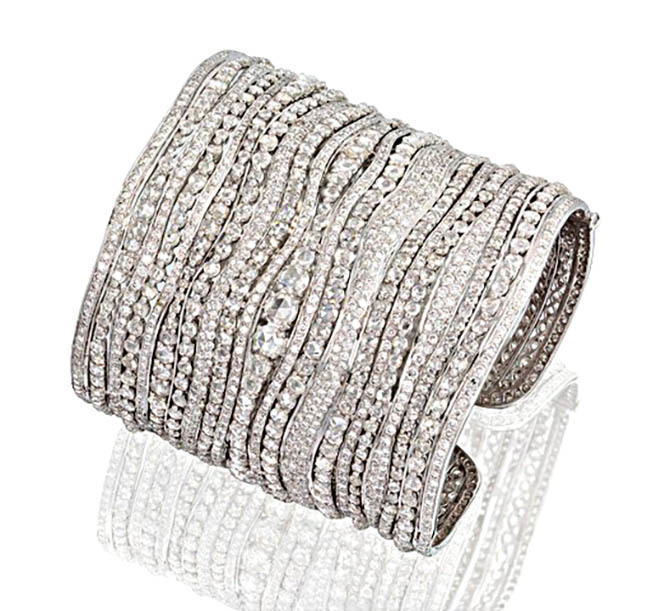 She had on a ring by Jacob & Co., two bracelets from Oscar Heyman and one from Eleuteri. When Rihanna joined Toni Braxton (at right) on stage during her performance after dinner, the jewels on he right hand could be glimpsed. She was wearing rings by Oscar Heyman, Anabela Chan and bracelet from Etho Maria. 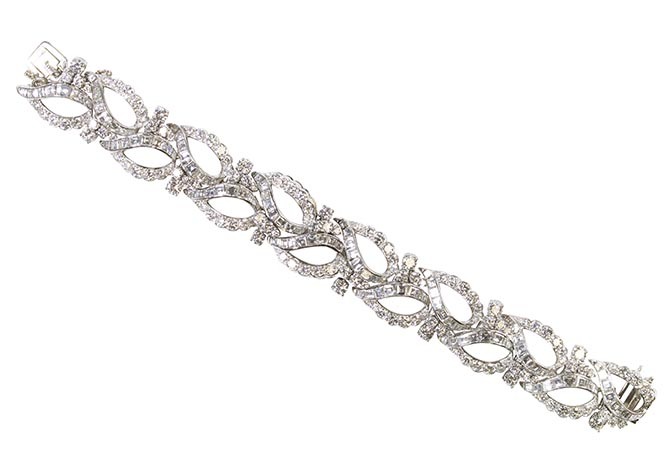 Etho Maria is one of Rihanna’s go-to jewelry favorites. She has worn their deluxe designs frequently at appearances as well as in her “Wild Thoughts” video. 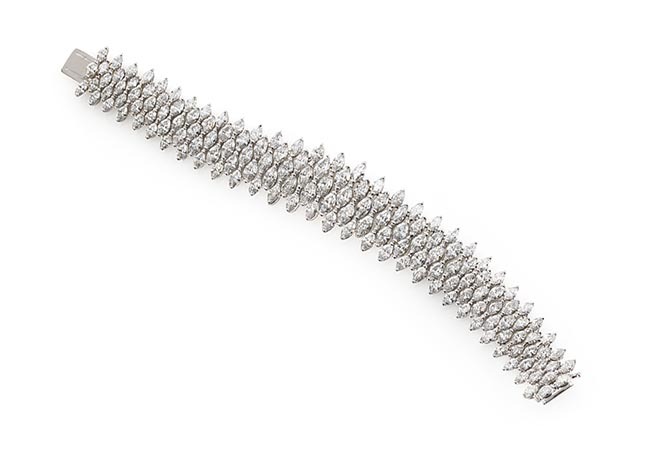 For her 30th birthday, she had on an 32.70-carat diamond Etho Maria Tsiki bracelet. Price available upon request.